Ruby married Joe Buck at St Catherines, Hatcham Deptford on 9th June 1941. 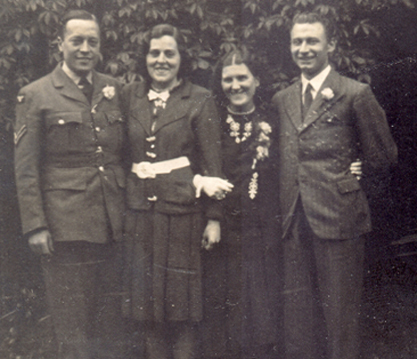 She was living at this time with her mother Adelaide, stepfather Jethro Jewell, and her brother Herbert Harris. Joseph Buck was a friend of Herbert's from his college days when they both studied at Clarkes College in Catford. The photographs below were both taken directly after the wedding. The left hand photo shows the bride and groom on the right with Ruby's cousin Molly Ruff. 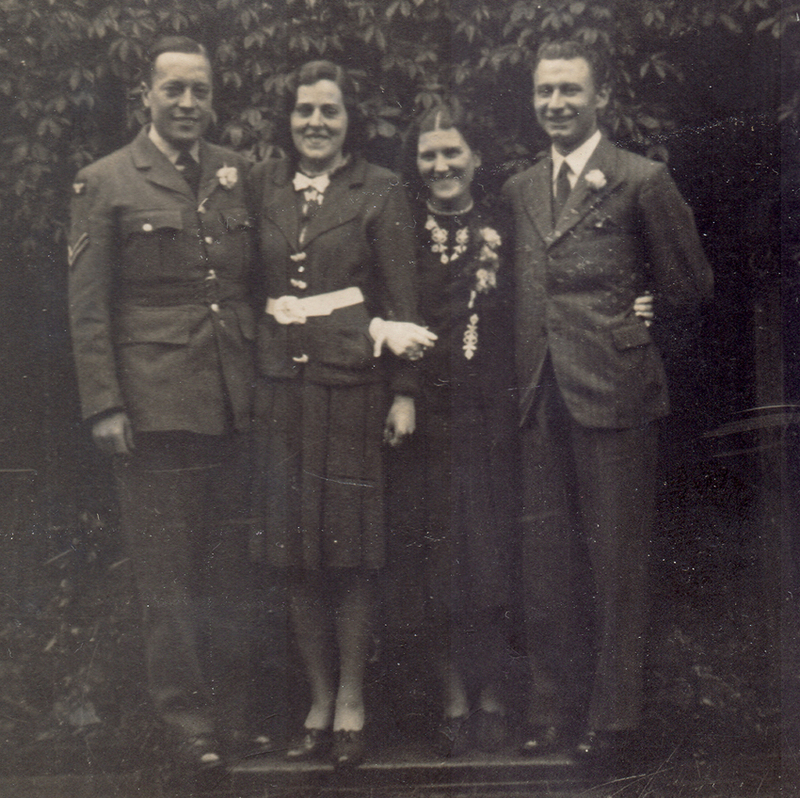 The man in RAF uniform is obviously a friend of Joe's as he was also in the RAF based at Wyton Cambridgeshire. The right hand photo shows the bide and groom with Ruby's mother Adelaide. 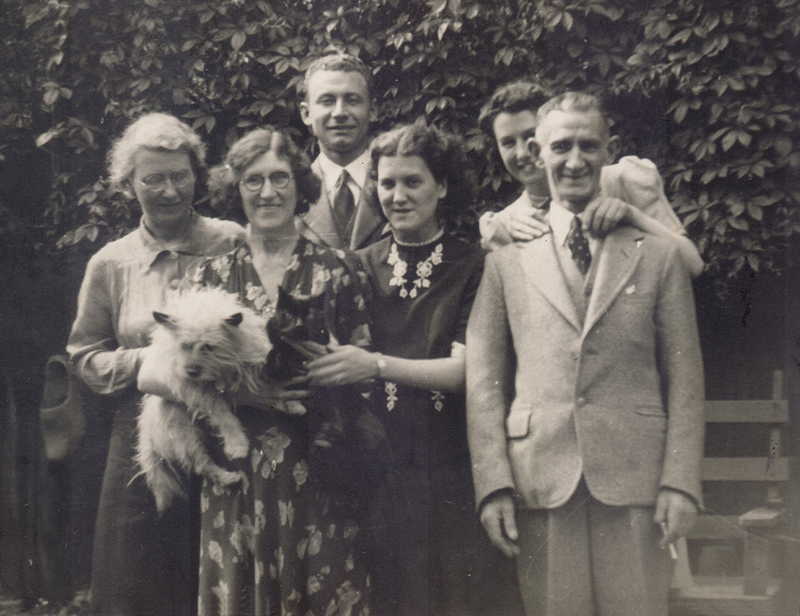 On the extreme left and right are Ivy and Herbert Musgrove (Ruby's uncle and aunt) peeping over her father's shoulder is their daughter Peggy then aged nineteen. The family pets also feature. 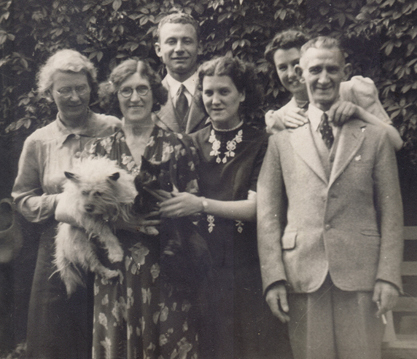 Ivy is holding Adelaide's dog Scottie and Ruby is holding the pet cat.